I rarely get opportunities to meet the many writers whose works I've read and treasured over the years. So a few weeks ago at the Toni Morrison Society conference when I spotted Deborah Willis sitting toward the back of the room, I took advantage of the moment and introduced myself. I mainly tried -- inarticulately -- to communicate to her how much I've been moved by her wonderful picture books. I also let her know that I've selected her books as gifts for students over the years. 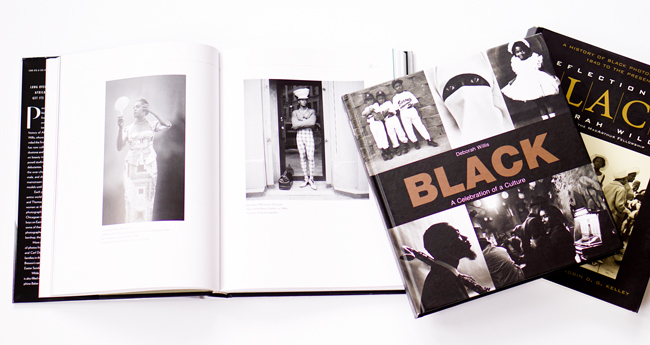 Among others, Willis compiled and edited books like Reflections in Black: A History of Black Photographers 1840 to the Present (2000, 2002), Black: A Celebration of a Culture (2004, 2014), and Posing Beauty: African American Images from the 1890s to the Present (2009). I'm not sure when I first started thinking about African American picture books, but early on as an undergraduate, I was fortunate to come across Richard Wright's 12 Million Black Voices (1941). Later, I stumbled onto books like I Dream a World: Portraits of Black Women who Changed America (1989) by Brian Lanker. Yet, Willis opened up a really vast world for me. I've always taken note of African American photographs here and there, but she brought everything together in one place. She also highlighted the many photographers -- of various races and backgrounds -- who had trained their cameras on black folks. 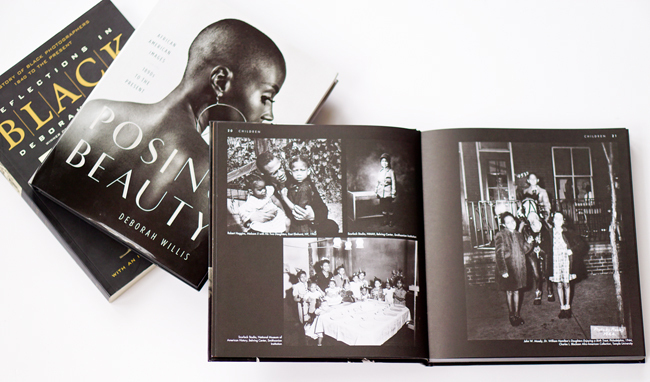 Her book-form curatorial work of photographs has given me so much visual delight over the years. 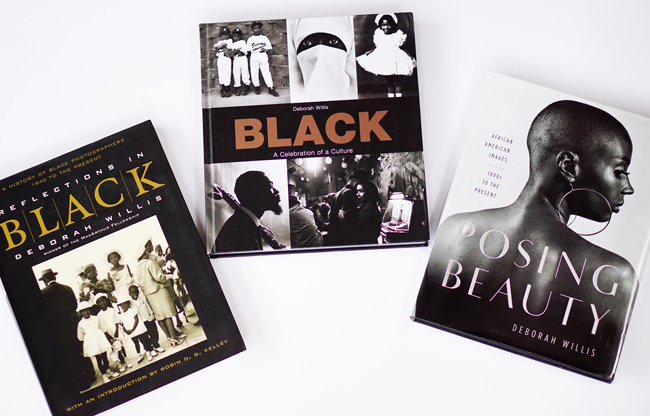 I turn to just about any page of Reflections in Black, Black: A Celebration of Culture, or Posing Beauty, and I'm met with some image that has my mind off and running. Look at Malcolm. Who's that in that image? Who are they? What were those folks doing? What other lives did that photographer chronicle? And on and on. I'm always discovering a new image or rediscovering one that caught my attention from previous readings of the book. Some of the images pop up in various other places as well. On the web. In a different book. In a magazine. 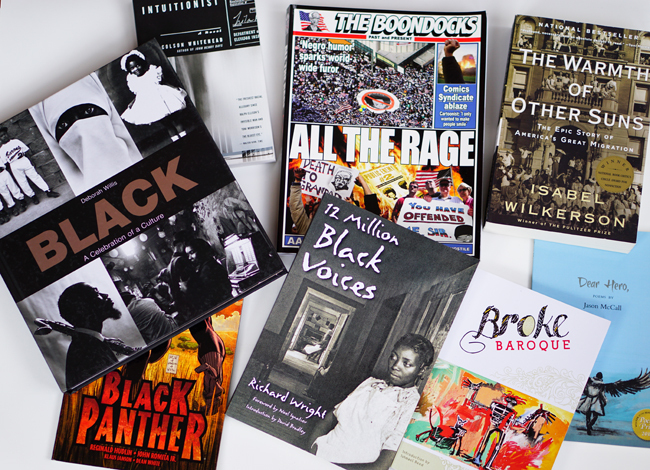 Deborah WIllis's Black: A Celebration included among texts I gifted to students last year. Since I've enjoyed Willis's books so much over the years, I regularly include them in packages of gifts I pass along to students. I'm always pleased to know that I can assist with building their personal libraries by passing along one of Willis's works. What a awesome tribute! Dr. Deborah Willis has really opened our eyes to the beauty of people..kudos to her. Thank you for sharing this post.